Below is an excerpt from a 10 September 2014 ICEF Monitor article about an excellent Brookings Institution study of international student flows to the U.S. with detailed information and useful analyses. Start with the article and, when you have time, print off and read the entire report. I’ll be back soon with an analysis of Vietnamese students, including sending and destination cities and popular fields of study. 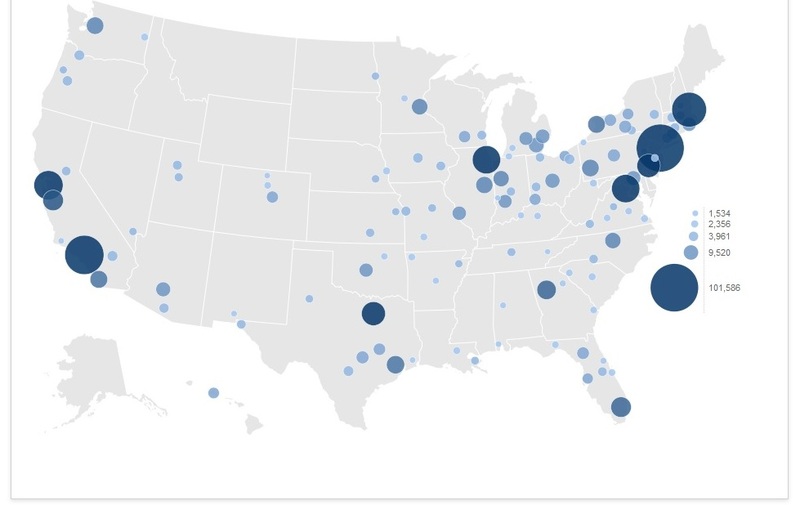 The international cities sending the most students to the US. In this article we’ll explore some of the most important findings from this interesting new take on US student data. The report notes that the biggest increases come from sending countries considered “emerging markets,” such as China and Saudi Arabia. s much as has been written about the cultural and economic benefits of international students for host universities and local communities, there is much room for discussion on the wider implications of hosting international students. In short, international students can provide long-term links to the key global regions from which they originate, whether these links are research-oriented, diplomatic, or economic. International students can be “valuable assets to local business communities that are seeking to expand globally.” They cite the IT sector, where “immigrant entrepreneur networks play a critical role in technology industries’ international expansion, linking Silicon Valley to new technology hubs in Bangalore (India), Hsinchu Science Park (Taiwan), and Shanghai (China). Those American cities with significant numbers of international students are the best placed to enjoy such benefits – particularly when the cities also contain exciting work opportunities for foreign graduates. A key consideration here is the limited extent (currently) to which US immigration laws allow talented international students to remain in the country to work post-graduation.